Properties Plus bathroom remodeling service will work with you and help you can get an idea of what is available for your floors, cabinets, showers, etc. With such a large array of bathtubs, showers, fixtures, tile, flooring, sinks, countertops, vanities and other products to select from, a bathroom remodel can seem like an overwhelming task. Our team will walk you through the process one step at a time, providing guidance, education and personalized recommendations that complement the vision you have for your new bathroom. 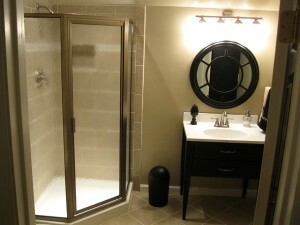 Properties Plus offers a full service and custom design-build remodeling solutions. Whether you require a complete start-to-finish design build or already have plans we can help you achieve your bathroom remodeling dreams. The master bathroom or master suite is one room that gets used at least once a day and should have every amenity to help you prepare for the work day ahead or unwind at the end of the day. Some ammenities may include custom cabinetry, jetted bath tubs built for two, multiple shower heads, steam generators, flat screen TV’s with surround sound, and elegant lighting. 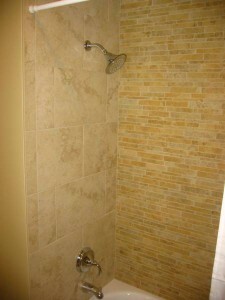 Click here to view our bathroom and tile gallery! Fill out our online form to get an estimate for your project. © 2014 Properties Plus Home Remodeling, LLC.